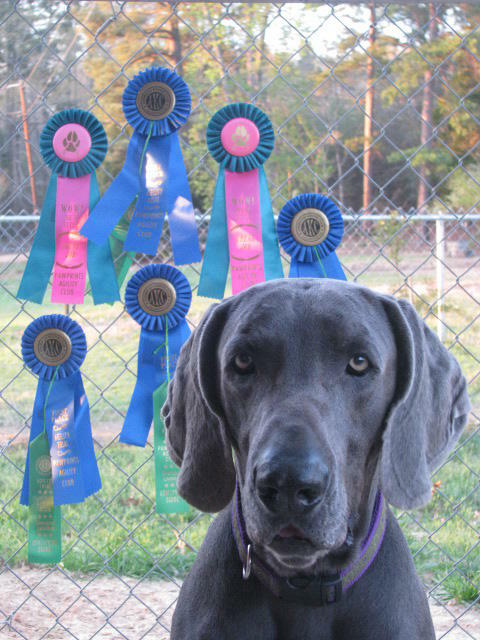 Cooper earned his Excellent Standard Agility Title (AX) on March 20, 2011 in Haughton, Louisiana. He also took home four 1st place ribbons. Congrats Cooper, way to nail the tail on the Blue Wiemaraner! Way to make Greatpaw proud, Cesar von Gaiberg your progenitor “Tell” is in the halls of your family home.